A blend of all the village vineyards, this has an impeccable depth of colour; black with a purple rim. 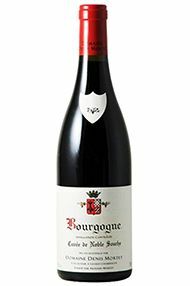 Very youthful and with superb intensity, several waves of dark red fruit swamp the palate, with good fresh fruit and excellent acid balance. However, the acidity is completely coated by the density of the fruit, so there is clearly great potential. Arnaud harvested from 25th September for 10 days and, though the grapes needed lots of sorting, yields finished up better than in 2012. He likens the vintage to 2008 but with more flesh and more flattering. Arnaud is continuing slowly to reduce the percentage of new wood – no more than 30% for the village bottlings, 50-60% for the Premiers Crus. This wine is theoretically made from younger vines, but the average age is still 40! The power comes from Arnaud’s Au Vellé vineyard, the finesse from En Motrot. 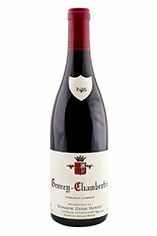 Together they make a beautifully sophisticated Gevrey-Chambertin which really scores on the palate for elegance, supple fruit and length. Arnaud Mortet is achieving his stated ambition to make fresher, more elegant wines than those of his father, and though some markets may not appreciate this refinement of style, we certainly do. There is less emphasis on extraction and on new oak, so the wines are a touch lighter in colour than they used to be, but fresher and perhaps more subtly nuanced. A great success in 2010. 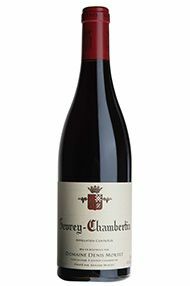 A blend made up from very small holdings of Petite Chapelle, Cherbaudes, Belair and Champonnets. Even the lovely bright colour is seductive while the wine on the palate makes a wonderfully complete rendition of Gevrey-Chambertin. It is brilliantly balanced with no evidence of the 60% new wood used and a finish that stretches out seamlessly. Very fine. A blend from Petite Chapelle, Cherbaudes, Belair and Champonnets with 50% new wood. Rich purple, with much more expressive fruit here than En Champs, indeed seems more forward at this stage. It certainly dances and sings with great persistence. 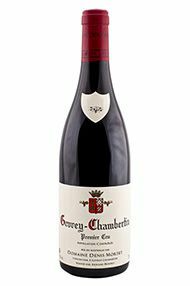 The fruit for this comes from Les Cherbaudes, Belair and Petite Chapelle. Floral and dark raspberry notes, with a touch of clove oil and spice, play on the nose. Happily this isn’t over luscious on the palate, with marvellous texture, precision and length. Gentle waves of fruit reverberate around the mouth, this is very impressive. Drink 2021-2029. One-third whole bunch, this is a fine, noble purple. 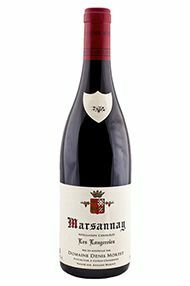 The nose has clean, pure, dense fruit – on the cusp of red and black – which is concentrated yet juicy, while the whole-bunch component keeps it fresh. 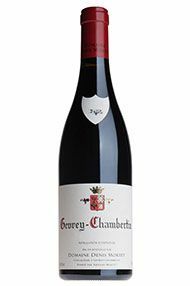 This is as exciting a village Gevrey-Chambertin as one could hope to find. Drink 2019-2026. Interestingly this wine comes from a parcel which is planted at relatively high altitude in the village of Daix, to the north of Dijon. The cooler microclimate is a real benefit in recent, warmer vintages, giving a balancing freshness to the rich, generous red fruit. All de-stemmed and 25 percent new oak, it’s full of pretty red berries and silky tannins. Drink 2019-2024. Self-assured Arnaud Mortet is rightly proud of his capacious, extended cellars on the edge of Gevrey, explaining that the extra space allows him to work with the same precision in the winery as he does in the vineyard. Arnaud is meticulously thorough in the vines, explaining that he loves vintages like 2017, where all that hard work really pays off and gives just reward for the true vigneron. His carefully managed yields have given wines with ripe tannins and good concentration. Overall, he reduced the number of whole bunches as he didn’t want to reduce acidity levels in the wines. Around a third of this has been raised in new oak, with no whole bunches. There is plenty of juicy, red fruit here, from the clean-as-a-whistle nose, onto the rich, silky palate which is sensual and charming. The texture on the finish is creamy and fresh. Drink 2020-2025.